To reset the mileage before service on a Renault Modus, follow this steps. Select the miles/km to service display on the trip computer. Repeatedly push and hold one of the two buttons on the end of the windscreen wiper stalk for about 10 seconds until the mileage is reset and the display shows the mileage before maintenance service permanently. 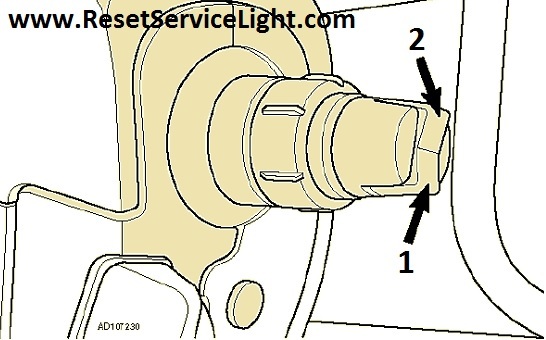 That it is the full procedure how to reset service light indicator Renault Modus. If you like to reset any maintenance oil light after an oil change. Or reset check engine light, airbag light, inspection key or insp errors when maint reqd, for Renault cars. Or any warning light for service reminder which appears on the display. Write in the search box the car name for which you want to find information, and find how to reset other service reminders when by yourself. Repeatedly press buton 1 or button 2, see below picture. PRess and holf button 1 for approximately 11 seconds. The distance remaining to the next service appears in the display.